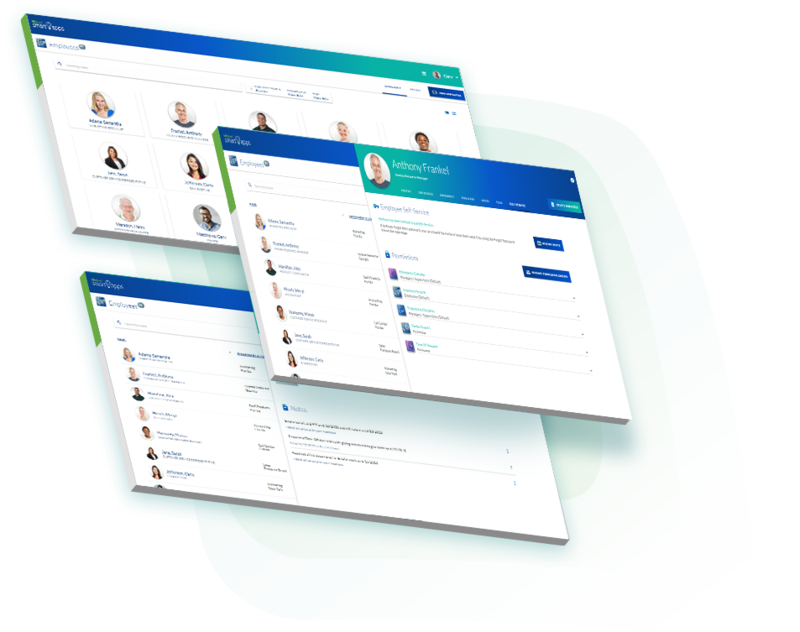 A new breed of HR solutions, more affordable and accessible than ever at just $60 a year per each app, regardless of your employee count. More than 70% of small business employers are still using traditional methods - like sticky notes and paper calendars - to manage and complete recordkeeping tasks. Let's change that. One app at a time. Get started with our free Employee Records app that takes just minutes to set up and add your employees. There you can keep all types of documents and personnel information in one central, secure location. When you're ready to tackle other tasks such as attendance tracking, onboarding, or hiring - adding new apps take no time at all. 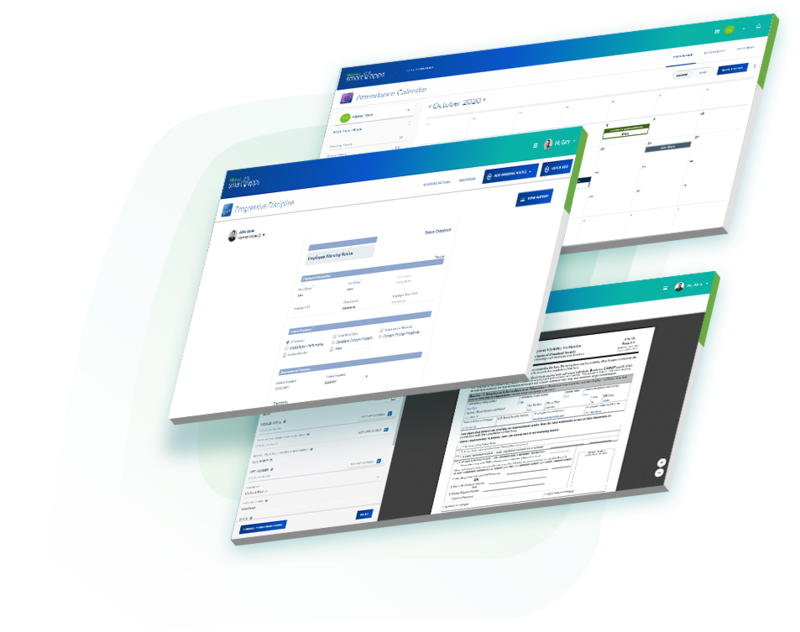 Our web-based HR apps are seamlessly integrated, so you never have to worry about duplication of data or effort. All of your employee recordkeeping information is at your finger-tips so you can complete tasks and solve problems on the spot. You Don't Need Everything. You Need the Right Thing. Most online HR software or HRIS systems are designed for the complexities, aspirations and budgets of larger businesses. And though they may claim to support smaller, independent business managers and owners, they still push an all-in-one package, or require commitment to their other services such as benefit plans, payroll or financial systems. Each Smart App is designed to help you address a specific employee management goal, allowing you to decide when and whether it is relevant to your business. We aren’t a software company – though we have been developing HR software for more than 25 years. As HRdirect, we have been delivering “Solutions for Smart Employers” such as forms and compliance products for small businesses since 1985. Our in-house attorneys, legal researchers and HR experts strive to ensure our apps meet compliance requirements and best practices. Our customer success team is here to answer your questions and ensure you get the best value from the solutions you select. We maintain the highest business standards and certifications for database hosting and backups, user access and data encryption. "We’ve used the HRdirect Paper Attendance Calendar for two years now and this is just so much easier with having four locations. The ability for the managers to handle their stores' employees is great. I’ve begun to get all our employees set up on it and giving our managers access to their employees … it’s been a hit, they love it!" "It has helped reduce the complexity of searching for employee's details and made updating the employee database an easy process. It has provided a tremendous way of keeping employee records in one place. Easier, better and time saving. The app has saved me tons of time spent retrieving staff records for use. All our employee records are just a click away." The move to modern HR software has been slow. Many solutions have become increasingly complex and more expensive, making it difficult for businesses to make the switch. Are you ready to make the move to online recordkeeping and reap the rewards? We've made it easy to push your business forward with great resources and offers.